Exciting, alluring, amazing. 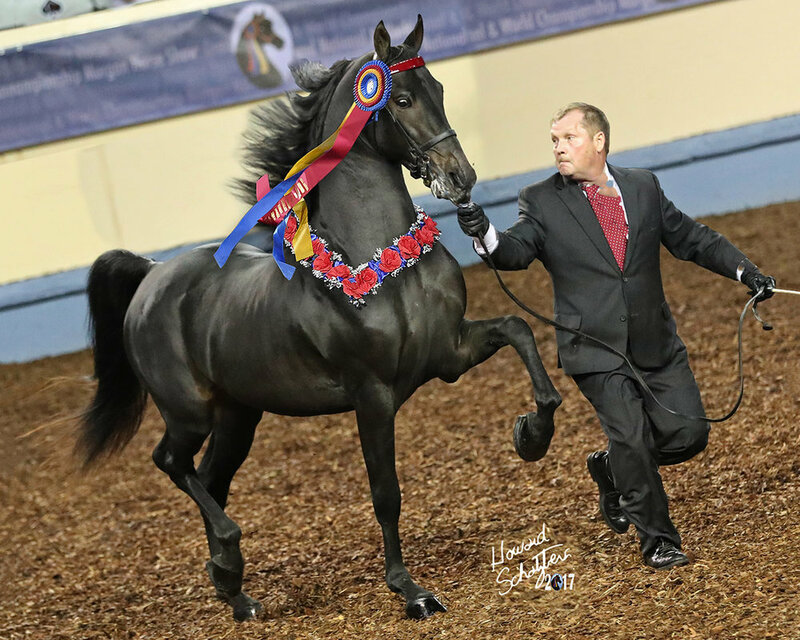 This phenomenal young stallion burst on to the scene at the 2017 Grand National & World Championship Morgan Horse Show with John Hufferd on the line and won the Grand National Two Year Old Stallion Championship, then moved up to World Champion Junior Stallion, and then came back later in the week to take the World Futurity Two Year Old Stallion Championship. Not just a pretty face, he was also the Pleasure Driving Two Year Old Reserve Grand National Champion. Our good friend Andrew Beiler of Sunrise Stables LLC developed this youngster and spent this last winter starting him under saddle for us, and we couldn't be more pleased with the result. He will make his saddle debut at the C-Fair Charity Show in Monroe, Washington with Suzanne Haberek.